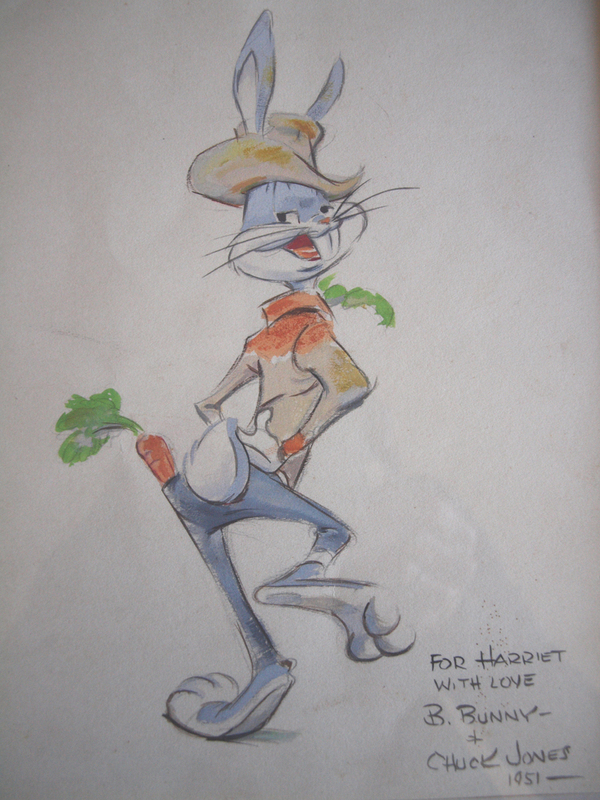 This cartoon of Bugs Bunny all duded up and ready for a square dance, and the accompanying note, were made by Chuck Jones for Harriet Kline. 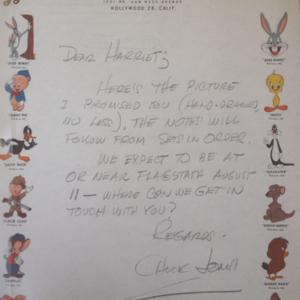 Chuck Jones was an enthusiastic square dancer; see the related item. 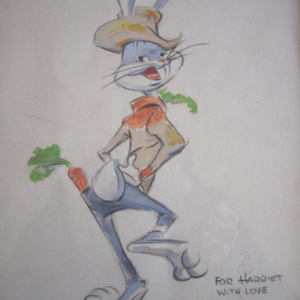 Interesting, though, he does not appear to have been involved in the production of Bugs Bunny's square dance feature, "Hillbilly Hare." A Phoenix resident, Harriet Kline was a teacher, promoter, organizer, columnist and avid dancer. She had a newspaper column appearing each Sunday in the Arizona Republic for 20 years (starting in the early 1950's) called "Arizona Allemande". She was involved in square and round dancing most of her life, teaching classes in both square and round and continuing to be an enthusiastic participant into her late 70's. Her daughter comments, "I think she attended every national conference, often with me as a child in tow. Square dance people were always the nicest people anyone could ever meet. She would often have classes in our home to teach the latest round dance, but square dancing was her lifelong interest." 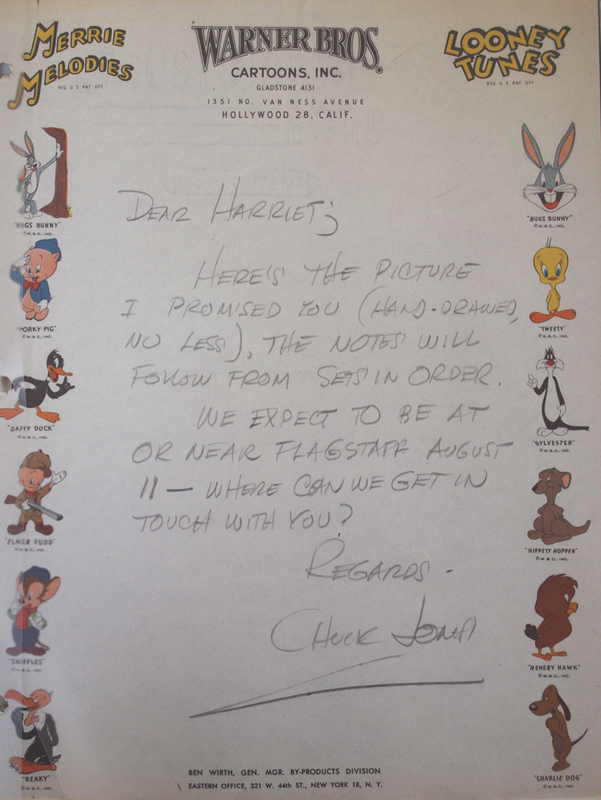 Chuck Jones, “Chuck Jones - Bugs Bunny square dance,” Square Dance History Project, accessed April 23, 2019, http://squaredancehistory.org/items/show/961.